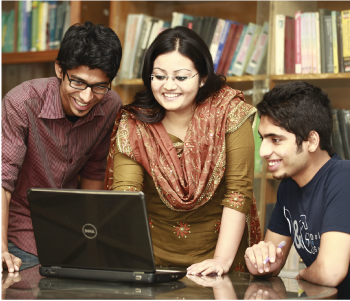 Daffodil Institute of IT (DIIT) is the oldest education concern of Daffodil Education Network and takes the pride of being the leading ICT training and internationally recognized academic institute in Bangladesh. DIIT is consistently rated among the best institutes in Bangladesh for its students’ excellent track record in national and international examinations. DIIT has established affiliation with many national and international awarding boards, institutes/universities in order to offer international standard quality education for the students in Bangladesh. DIIT offers a lot of dynamic programs, short courses, diploma courses, certificate programs, pre university programs, and undergraduate programs etc. 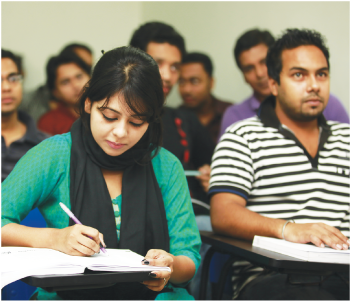 DIIT has its campus in Dhanmondi, Kalabagan, Panthapath, Uttara and Chittagong, all of which are fully functioning with full prestige of the institution. The best achievement of DIIT is its students’ success rates in job market who are engaged in a lot of the reputed organizations at home and abroad. Also it is internationally recognized and is consistently awarded as the “Best Partner" of NCC Education UK. DIIT has achieved the most prestigious "Academic Excellence Award" for two times among its 45 countries and in 350 centers for its student's outstanding performance in the Global Exams. Already 2000+ DIIT students have successfully transferred their credits to the well-known universities throughout the world for their higher studies. Also, DIIT students are constantly holding excellent success record and getting placed among the top resulted students in the final exams countrywide under National University, Bangladesh. Inspired by the success ratio of its students in other National and International curriculum, recently DIIT has started Bangladesh Technical Education Board provided Diploma in Engineering Programs to contribute in developing Technically Skilled Manpower for the country. Also DIIT Chittagong is amongst the few selected institute where World Bank is funding for supporting their studies through its Skills and Training Enhancement Project (STEP) under Directorate of Technical Education (DTE). Final Year – B.Sc (Hons) in Business Information Technology Under University of Greenwich. Diploma in Hardware & Network Engineering. Diploma in Web & e-Commerce Engineering. Diploma in 3D Animation & Visual F/x Engineering.